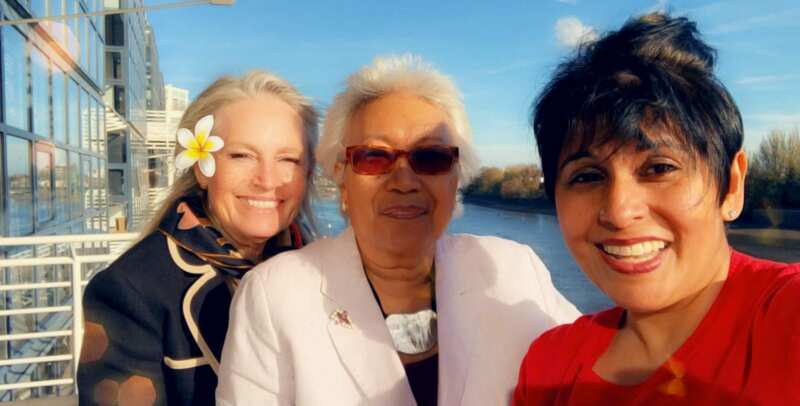 Our hostess, who had attended the River Room Luncheon, welcomed us very warmly to her flat which overlooks the Thames, affording a wonderful view up the river. Her hospitality was both warm and generous and there was a happy buzz of conversation. We were delighted to welcome Mrs Linda Lagdameo, our Patron for the Philippines.